Looking for Gelato: How to Make Homemade Gelato (directions, recipe, with photos, easy and free) in 2019? Scroll down this page and follow the links. And if you bring home some fruit or vegetables and want to can, freeze, make jam, salsa or pickles, see this page for simple, reliable, illustrated canning, freezing or preserving directions. There are plenty of other related resources, click on the resources dropdown above. 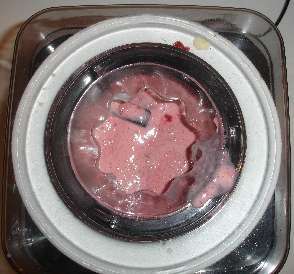 Using a Gel-freezer-container Ice Cream maker! What's better than ice cream? Gelato! Especially homemade gourmet gelato! Here are complete and easy directions, with step by step photos! Gelato is a combination of whole (or reduced fat) milk, eggs, sugar, and natural flavoring, usually fresh fruit and sugar. 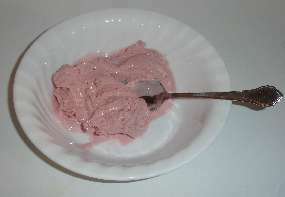 It is similar to ice cream, but lower in fat (ice cream tends to be 10% to 20% fat, while gelato is 8% or less). 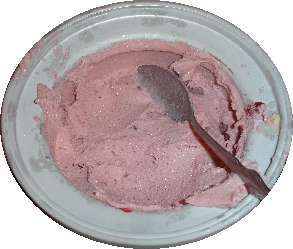 Gelato is softer and has more intense fruit flavors; like a sorbet, but more creamy, like ice cream. Historians claims that gelato was invented by Bernardo Buontalenti for the court of Francesco de' Medici in 1565. You can make plain vanilla gelato, strawberry gelato, peach gelato, raspberry, blackberry, blueberry, or many other flavors, even chocolate! This taste as good as any gourmet luxury gelato and better than any gelato you've ever bought in any store! 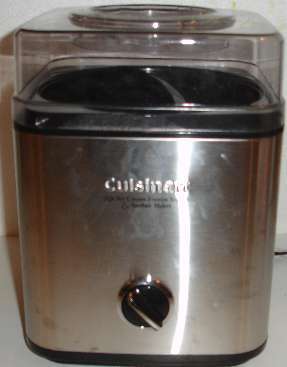 The only special equipment you need is an ice cream maker that has a bowl you pre-freeze in your freezer. 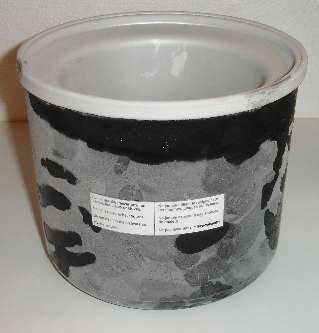 If you have an ice cream maker that requires ice and salt instead of the freezer bowl, see these instructions instead! 3 cups of prepared fruit (strawberries, peaches, raspberries, mangoes, or whatever you have! 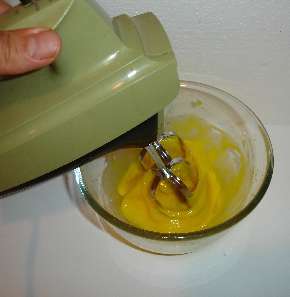 See step 7 for details. 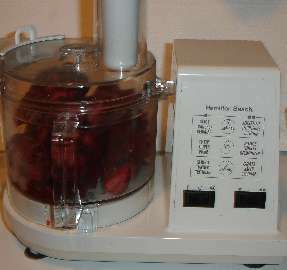 On the other hand, the Hamilton Beach model is cheaper, but it doesn't get as good reviews and I haven't tried it. And if, for some demented reason, you actually want to hand crank for 25 minutes, the Donvier model offers that, um, "pleasure". 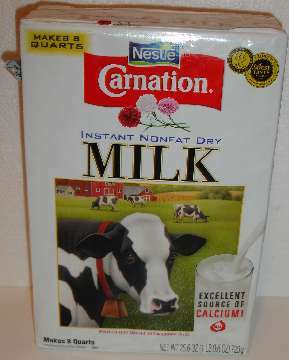 In a large pot ( 4 quarts or larger) with a heavy bottom (for even heat distribution), mix the fat-free milk, Sugar and powdered nonfat dry milk. 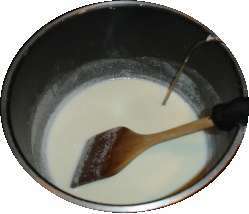 Bring the mix to a low simmer over medium heat and stir to dissolve the Sugar, then turn the heat down and just keep it warm. Well, what kind of gelato do you want? This is the time to decide! You can add almost any fruit you have! 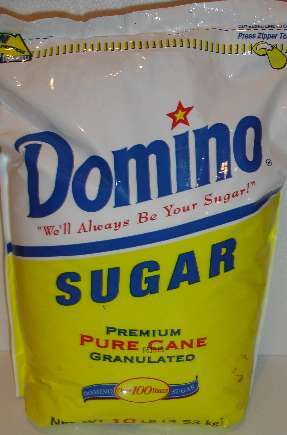 If you want vanilla, you already have it, just pop the mix into the maker. If you want chocolate ice cream, just add your favorite chocolate syrup, such as Hershey's or Nestle to the mixer in step 10 as it thickens! 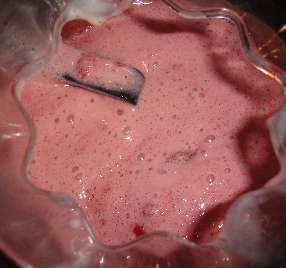 About 45 minutes before you want to serve the gelato, stir the milk/cream mixture together with the pureed fruit. Stir it up well. 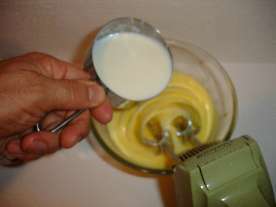 Remove the freezer bowl and pour the milk/cream/fruit mixture from step 8 into the freezer bowl. 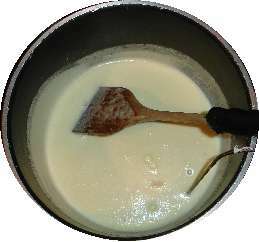 Put the bowl in the cream maker. If you are making chocolate gelato, this is the time to add the chocolate syrup. I add about 1/2 cup of chocolate syrup - I use the Hersey's sugar free syrup, but both the variety and amount are a matter of personal taste preferences! You can tell when the gelato is done, by simply checking the consistency through the opening on the top of the ice cream maker. You will also hear the motor straining, as the gelato freezes. On some units, the directions with the maker tell you to let it work until the motor stalls and stops. 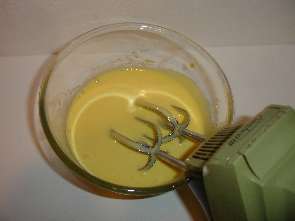 When it is done, the gelato should have a soft, creamy texture. Gelato should be stored in a freezer that is just below freezing (say 30 F), or else it will become harder - you'll need to thaw it and hand whip it back to smooth and soft! 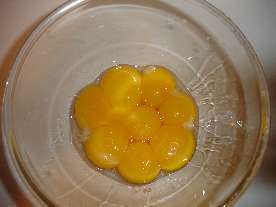 Hey, once it reaches the consistency you like, it's time to eat! That's it! You made great homemade gourmet gelato!